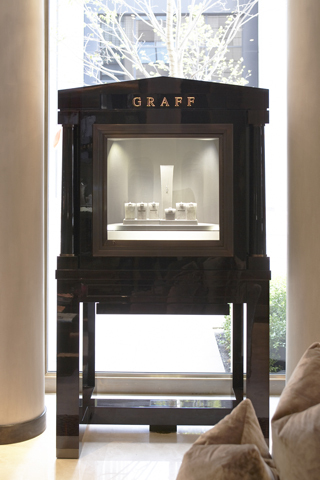 Designed as part of a re-branding exercise for major international jewellers, Graff Diamonds, these showcases are made from ebony veneer with bronze detailing. 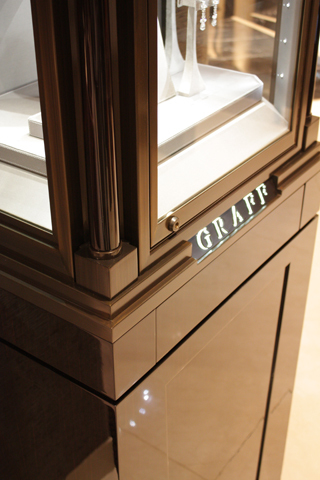 We undertook the entire design, from the overall look to the details of the lighting. 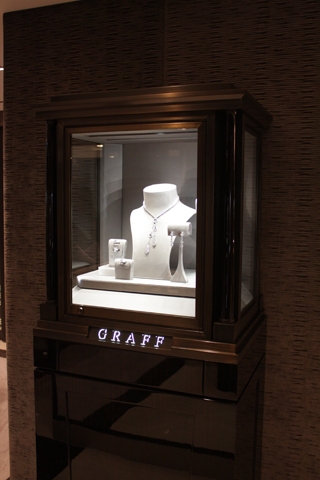 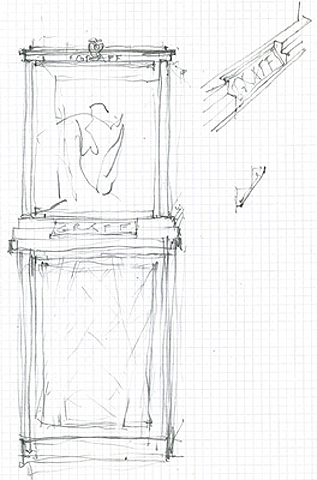 The innovative rotating display window in the large showcases allows a single showcase to have one display facing the shop and another to the street. 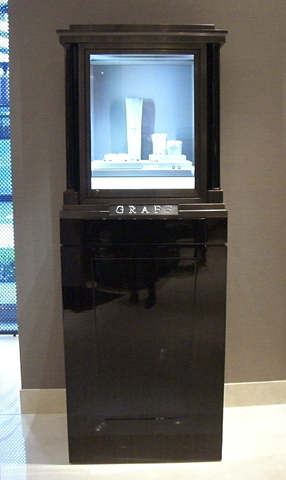 At the touch of a button a computer-controlled motor turns the displays through 180 degrees, so that the window display can be accessed from the shop.